I like to think the world subdivides into people who think like Michel Foucault, people who think like Noam Chomsky, and, I suppose, people who don’t think in much of a structured way at all. I’m probably a natural Foucauldian but over the years I’ve come to appreciate the Chomskyian way as well. But, even more, I appreciate hand-drawn film animation—especially when it is as artful as this, illustrating a fascinating and humanizing conversation with the beloved linguistic theorist and political activist, without become overly distracting on the one hand or overly didactic on the other. 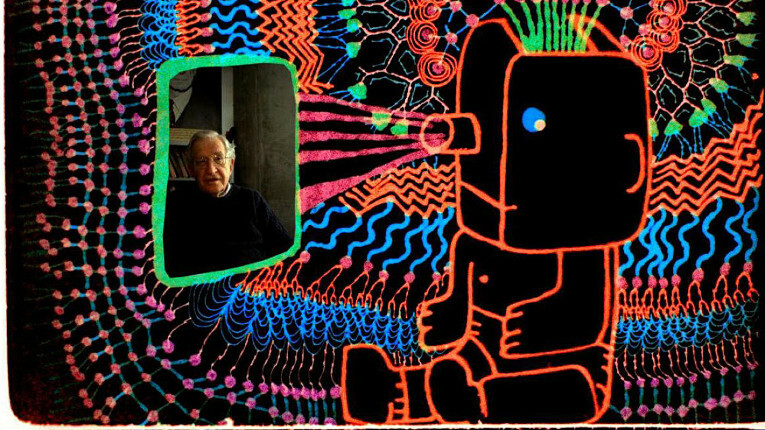 All of Gondry’s films have a certain eccentric, artisanal quality but this may top them all as a transparent labour of love. I can’t think of another documentary film like it.